Meet Council of Textile & Fashion members MTK Australia! 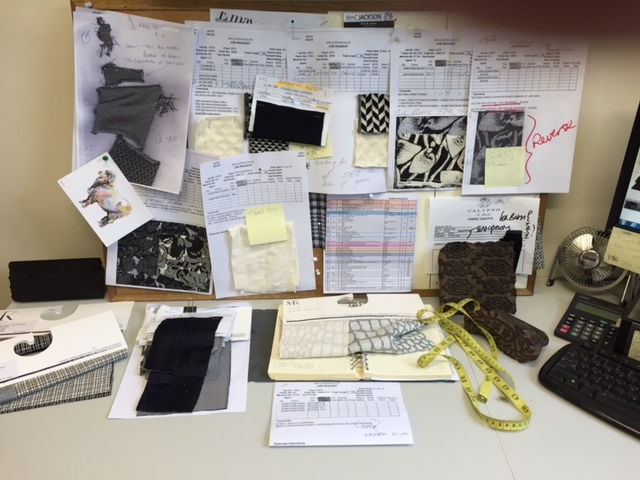 The Victorian mill has been servicing the local and international industry for the past 87 years, with an assortment of clients from Dion Lee and Cue through to Dries Van Noten and Balenciaga. A testament to the capability and quality of our local Australian textile industry, MTK are also actively invested in the sector's future growth as Board members here at the Council of Textile and Fashion. MTK Australia (aka Melbourne Textile Knitting), was established in 1929 in Melbourne, Victoria, Australia and continued to supply a thriving local industry well into the new millennium. About 15 years ago, due to the decline in local manufacturing the company, being a niche bespoke knitting mill, recognised that if it was to survive, we needed to access overseas markets. To this end, MTK has been very successful in establishing itself as a high end supplier of circular knits for cut and sew throughout the US and Europe. In a challenging global market, MTK has been working with international luxury brands and fashion houses including Balenciaga, Dries Van Noten, Proenza Schouler, Lanvin, Tory Burch, Zac Posen, Thakoon, Opening Ceremony, Vince and See by Chloe among many others. Here in Australia we have forged strong relationships with our loyal clients such as Cue, Veronika Maine, Mela Purdie, Dion Lee, Life with Bird, Saba and Marcs, to name a few. We proudly specialise in developing and producing premium quality fabrics with a strong directional edge that serve to enhance our customers’ collections. The fabrics are all designed, knitted, dyed and finished in Melbourne and we ship all around the world from our mill. Great to see that the Australian fashion and textile industry is alive and kicking. Want to find out more about this amazing company? You can find their details on our online directory HERE!